By Pratyush, February 3, 2018 in Plugins - Publishing ONLY! 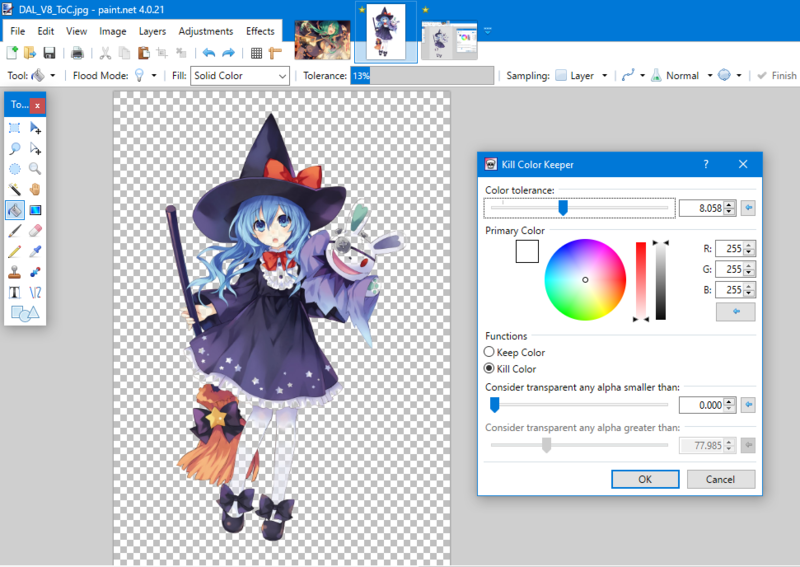 This plugin is an improvement on Jotaf's Grim Color Reaper. I use this plugin a lot but wanted some improvements, suddenly I realized that the since I can code a little and I can use the skill (?) . As, Jotaf has mentioned in his post that it is opensource, so I made one mine on Codelab version 3.3. The enhancement it has that It lets you now to choose color through UI instead of going through selecting primary color. i.e. 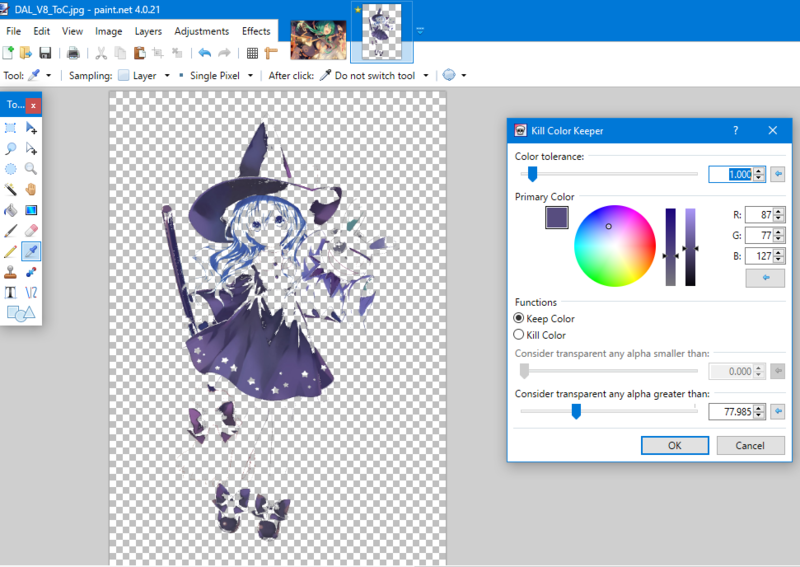 while Grim Color Reaper 'kills' a specific color, Kill Color Keeper has an option to preserve specific color while killing every other one. UI is similar to Grim reaper. It has options for tolerance and cut off value. But as a significant improvement, that it has Color Wheel inside UI so you can pick up color as desired. Default is still Primary Color. 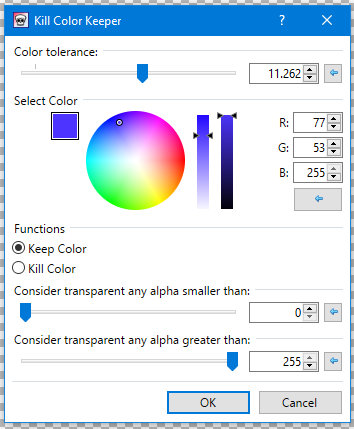 There are two option for Keep color and Kill color. There are two sliders which are dedicated to these two functions. I could have made it work with same slider, but default value for kill Color always turned out to make whole image transparent for Keep Color Option. Also, there was a need of different slider description . So, I made two dedicated sliders for them with their own default value and own description. In version 1.1, there are two sliders: Function Kill Color has only one slider for it while Keep Color has two sliders dedicated to it. 2. Kill color white i.e. background. 3. Keep Color Blue i.e. for dresses here. Then Keep Color Options would turn transparent pixels in white color (i.e there were given some opacity while running effect). So new version checks that if Alpha is less than given threshold values. 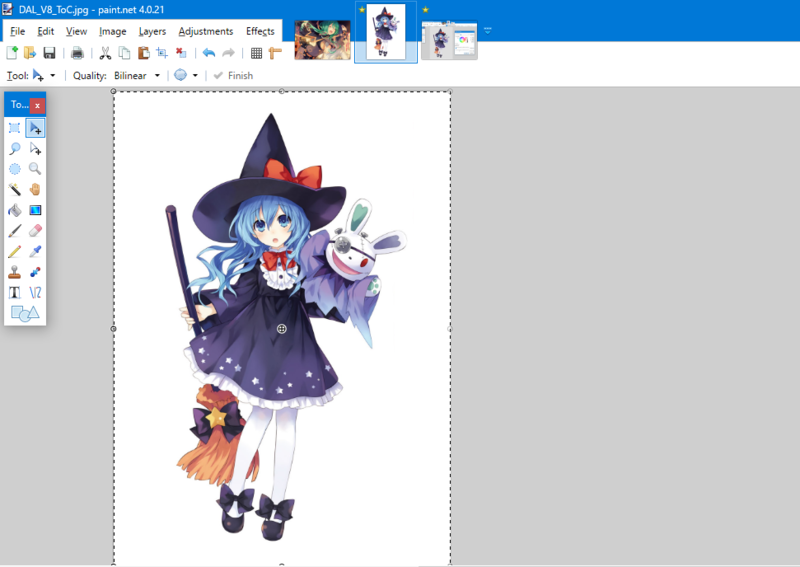 I used first sliders to ignore less opaque pixels. UI is changed, now both sliders will active for Keep Color and only first slider is active for Kill Color. 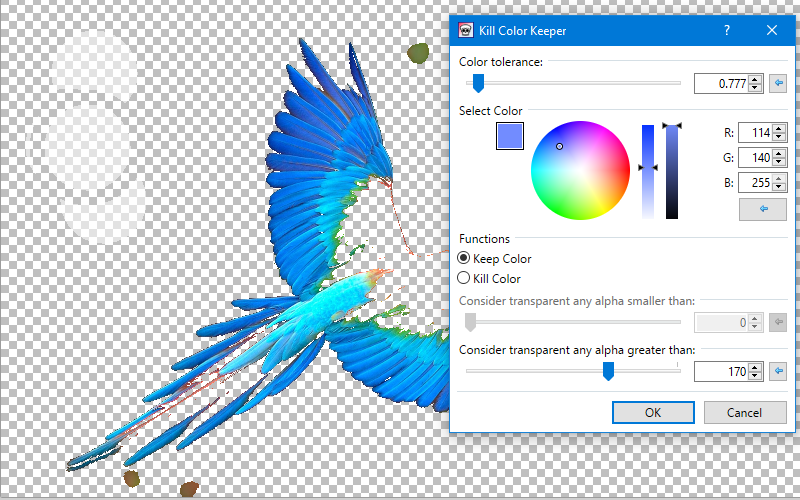 I personally call it 'Color keeper' but didn't wanted to leave word 'Kill', I choose one between these two candidates: "Keep Color Killer" and "Kill Color Keeper". I hope you all will find it useful. @BoltBait I think this is first published plugin which is made with codelab v3.3 using feature for disabling UI. Thanks and Congratulations for all that work. .
RGBA (and BGRA) values don't have decimal points. Therefore, the two alpha sliders should be IntSliderControl, not DoubleSliderControl. Since, Jotaf has mentioned in his post that it is opensource, so I made mine on Codelab version 3.3. You should also posted your modified source code. Maybe someone will to make enhancements in the future; just as you did. I am doing that. I have not still completed the post, edited over five times already. EDIT: Thanks for the insight on BGRA, I am changing slider values. At last Post done and dusted. Can you explain this to me? How does that equal alpha (the level of opacity)? Maybe you mean delta (the difference of change)? Maybe Jotaf can explain that, I was also wondering what that meant. That comment line is from original code so I let that be there. How does that equal alpha (the level of opacity)? Maybe you mean delta (the difference of change)? @toe_head2001 I think that this is about plugin function. This plugin does doesn't affect RGB channels but only alpha of pixels. 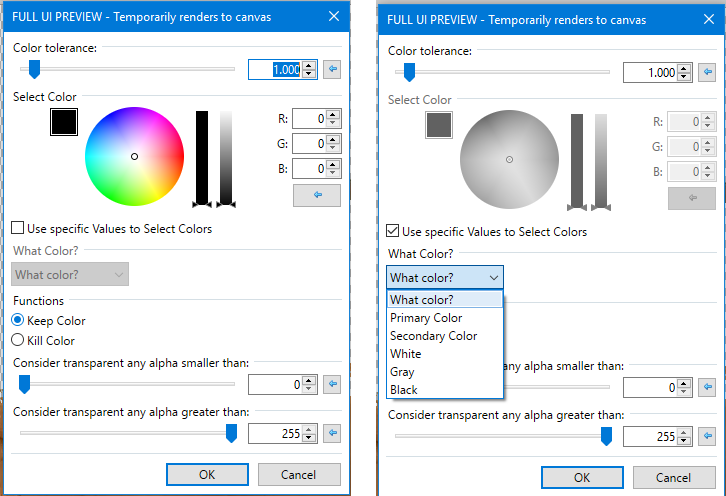 The alpha values are changed according to delta of a color. Since final alpha values are depended on that, he may have named like that way. I am also not sure about exact reason. 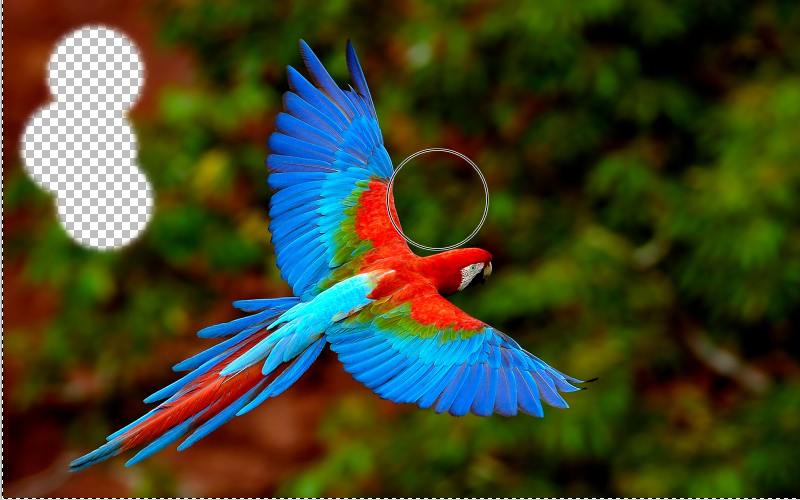 EDIT: I think the idea of plugin is make transparency proportional to euclidean distance between color. So, final alpha is proportional to (some constant)*(Delta of color). Once final alpha is defined the way, we know that final = foreground*alpha + backgroud*(1 - alpha) where is alpha is between 0 and 1. after solving back for alpha we obtain: foreground = (final - background*(1-alpha)) / alpha. Your code has the repeating lines. May I offer you simplify the code by removing extra lines? It's great that you have got that, I was going to recommend you compile the effect on Codelab itself as the code was present on desktop. Thanks @Pixey, and thank you very much @lynxster4 for complements. @Pratyush! Thank you so much for new plugin and sharing. @Pratyush! Thanks for new version. The plugin is located in effects > color.